• In case you missed, it, Canuck southpaw Erik Bedard (Navan, Ont.) signed a minor league deal with the Los Angeles Dodgers on Tuesday. The contract includes an invitation to big league spring training and reunites Bedard with former Tampa Bay Rays general manager Andrew Friedman. Bedard, who will turn 36 on March 5, posted a 4-6 record and a 4.76 ERA in 17 games with the Rays last season, his 11th in the big leagues. Over the course of his career, the 6-foot-1 lefty has won 71 games and recorded a 3.99 ERA. • Here’s something I learned when I flipped over Gene Tenace’s 1982 Donruss baseball card this week: his real first name is “Fury”. Given his intense, old school approach as a player and coach, the name seems fitting. • According to a tweet from ESPN’s Darren Wolfson on Wednesday, Guelph, Ont., native Scott Diamond was to throw a bullpen session for the Boston Red Sox this past week. The 28-year-old lefty, who made 27 and 24 starts for the Minnesota Twins in 2012 and 2013 respectively, split the 2014 season between the Twins’ and Cincinnati Reds’ Triple-A affiliates. • Jesse Crain (Toronto, Ont.) signed a minor league deal with the Chicago White Sox on Thursday. The 33-year-old right-hander returns to the city where he was enjoying his most dominant season in 2013 (0.74 ERA in 38 appearances) before being sidelined by a shoulder injury. The veteran reliever inked a deal with the Houston Astros prior to the 2014 season, but nagging shoulder issues forced him to spend the entire campaign on the disabled list. Now entering his 11th big league season, Crain has posted a 3.05 ERA in 532 career appearances. • While reading Ken Griffey, Sr.’s new biography “Big Red: Baseball, Fatherhood and My Life in the Big Red Machine,” I learned that the elder Griffey played parts of two seasons with the Reds’ Double-A Trois-Rivieres Aigles. 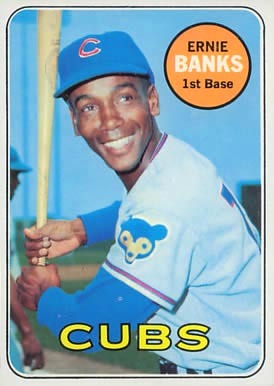 After hitting .406 in nine games with the Quebec squad in 1971, he returned for 128 contests the ensuing year and hit .318 with 14 homers and 31 stolen bases. He made his big league debut on August 25 the following season. • This week’s trivia question: Southpaw Erik Bedard (Navan, Ont.) has 71 big league wins in his 11-year career, tying him with Jeff Francis (North Delta, B.C.) and Rheal Cormier (Cap-Pele, N.B.) for the second-most by a Canadian left-hander. Who is the only Canadian lefty to have more wins than this trio of southpaws? Please provide your answer in the “Comments” section below. The first person with the correct answer will receive a baseball card autographed by Canada’s winningest southpaw. Just taking a guess, was it John Hiller? That was quick, Brent. Yes, you are correct. I’ll mail the signed John Hiller card out to you. Thanks again. Cool, lucky guess on me! I’ll keep an eye in the mail and thanks for the blog Kevin it’s a great blog to get the knowledge out of current and former Canadians in the game. Thanks for the kind words, Brent. I’ll drop the card in the mail tomorrow. Thanks for the comment, Devon. Yes, I totally agree. A 3.05 career ERA is very solid. Crain is one of the best Canadian relievers ever! I would love to know where he stands in the last 10 years of relieve pitchers with 500 innings or more pitched and ERA. I have started to read Chip Martin’s new book. It’s great! Thanks for the comment, Scott. I agree on Jesse Crain and I’m also enjoying Chip’s book. I don’t often know the answer to your trivia question but as a Tiger fan I knew this one and a guy from my era to boot. I’m just a little slow on the uptake. Keep up the good work Kevin. Good to hear from you, Jim. Thanks for the comment.